I love stories. They help us learn, remember, connect. They can bind cultures and cohorts. They often define friends and enemies. Arboriculture is rich with history, personalities and events. It makes for great stories whether truth, fiction or somewhere in between. 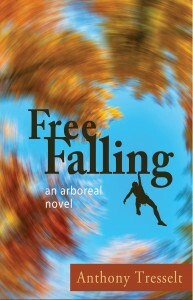 With my first novel Free Falling I plunge into the world of competitive tree climbing, the sights, the sounds, the people. Here is an excerpt from the back cover. A small group of ecoterrorists storms a Pacific Northwest logging site. Equipment is vandalized, buildings broken into and a surprise discovery is made by one member of the group; one that could solve all his current problems.